State-owned Estonian carrier Nordica, which was created to take over defunct Estonian Air, managed to right away become the busiest airline in its home airport of Tallinn. The operator reports that in 2016 it serviced more than 18% of the regular passenger traffic going through the capital’s gateway which in absolute figures means more than 365 thousand people. Although Nordica has not announced its precise share, the carrier underlines it is going 0.1% ahead of the next contender on the rating list. Tallinn Airport’s 2016 Report says the second busiest airline is Latvian flag carrier airBaltic followed by Ryanair, Lufthansa and Finnair. All of the companies are reported to control from 10% to 15% of Tallinn’s overall passenger traffic. Last year the airport of the Estonian capital serviced more than 2.22 million people, which is 2.5% more than a year before. It operates 23 destinations all year round and 34 destinations within the summer schedule. Nordica’s website says its regular flight network includes 12 destinations, namely to Vilnius (Lithuania), Kyiv (Ukraine), Stockholm and Örebro (Sweden), Oslo and Trondheim (Norway), Copenhagen (Denmark), Amsterdam and Groningen (the Netherlands), Brussels (Belgium), Munich (Germany) and Vienna (Austria). All flights are performed under the code-sharing agreement with LOT Polish Airlines. This Warsaw-based carrier is actually looking into a 49% share in the Estonian operator. It is exactly in the interest of the Polish partner that Nordica serves Warsaw from Tallinn and both Stockholm and Vilnius from Warsaw. 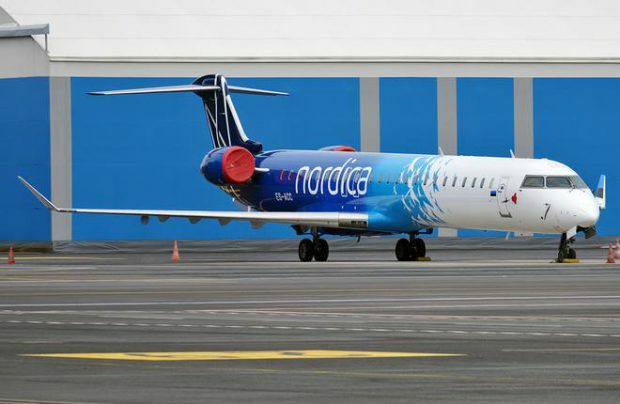 Nordica started operation in November 2015. Its fleet currently consists of two Bombardier CRJ700 regional jets as well as four CRJ900s.